Injured in an Oil or Gas Rig Accident? The demand for energy is continuously increasing, and oil and gas suppliers struggle to keep up with demand. At times, safety regulations are disregarded that may result in unsafe conditions for workers. At the law firm of Angotti & Straface Attorneys at Law L.C., we have witnessed a dramatic increase in serious injuries and deaths amongst oil and gas rig employees throughout West Virginia. We are dedicated to providing assistance to injured workers to recover financial compensation for medical expenses, pain and suffering, lost wages, and other losses incurred as a result of the willful or negligent practices that contributed to our clients’ injuries. 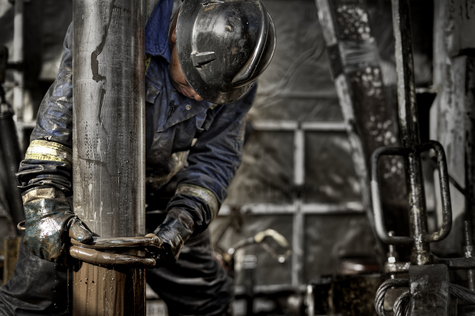 Angotti & Straface have several decades of experience assisting injured gas and oil workers collect recovery beyond the limits of workers’ compensation when applicable. In many of these cases, we are able to recover substantially higher settlements and judgments for our clients. When the energy company or other responsible parties have been found to have willfully contributed to your personal injuries, we will pursue every legal source of recourse for you. Working on an oil or gas rig can be dangerous, and there is no safe way to speed up the process or cut corners for increased economic gain without placing the livelihood and lives of workers at stake. When employers fail to properly train employees, limit work hours to reasonable time frames, and neglect to maintain equipment properly, injuries and/or deaths are inevitable in this field of work. All employers in the state of West Virginia are required by state and federal law to provide employees with a safe and healthy work environment, and take necessary measures to protect them. If your employer has neglected to reasonably safeguard you from workplace dangers and you have been seriously injured, contact our law firm right away at: (304) 292-4381. We know that workers’ compensation is inadequate to cover your expenses while injured. We offer a free initial consultation for injured workers, as well as survivors of those whose lives have been lost, to determine whether a personal injury or wrongful death claim is an option for recovery of your losses. We serve injured victims in Wheeling, Morgantown, Huntington, Charleston, Parkersburg, and throughout West Virginia.